Match ends, FC Ingolstadt 04 1, TSG 1899 Hoffenheim 1. Second Half ends, FC Ingolstadt 04 1, TSG 1899 Hoffenheim 1. Roger (FC Ingolstadt 04) wins a free kick on the right wing. Foul by Nadiem Amiri (TSG 1899 Hoffenheim). Corner, FC Ingolstadt 04. Conceded by Jin-Su Kim. Goal! 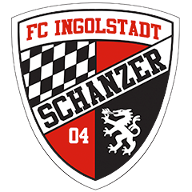 FC Ingolstadt 04 1, TSG 1899 Hoffenheim 1. Mark Uth (TSG 1899 Hoffenheim) left footed shot from the centre of the box to the centre of the goal. Substitution, FC Ingolstadt 04. Tomas Pekhart replaces Lukas Hinterseer because of an injury. Delay in match Lukas Hinterseer (FC Ingolstadt 04) because of an injury. Mathew Leckie (FC Ingolstadt 04) wins a free kick in the defensive half. Foul by Jin-Su Kim (TSG 1899 Hoffenheim). Substitution, FC Ingolstadt 04. Max Christiansen replaces Alfredo Morales. Attempt missed. Mathew Leckie (FC Ingolstadt 04) right footed shot from the right side of the box is high and wide to the right. Assisted by Pascal Groß following a fast break. Foul by Pascal Groß (FC Ingolstadt 04). Pirmin Schwegler (TSG 1899 Hoffenheim) wins a free kick in the attacking half. Robert Bauer (FC Ingolstadt 04) wins a free kick in the defensive half. Foul by Mark Uth (TSG 1899 Hoffenheim). Attempt blocked. Nadiem Amiri (TSG 1899 Hoffenheim) right footed shot from outside the box is blocked. Assisted by Kevin Kurányi with a headed pass. Offside, TSG 1899 Hoffenheim. Fabian Schär tries a through ball, but Mark Uth is caught offside. Foul by Alfredo Morales (FC Ingolstadt 04). Pirmin Schwegler (TSG 1899 Hoffenheim) wins a free kick in the defensive half. Stefan Lex (FC Ingolstadt 04) is shown the yellow card for a bad foul. Foul by Stefan Lex (FC Ingolstadt 04). Tobias Strobl (TSG 1899 Hoffenheim) wins a free kick in the defensive half. Substitution, TSG 1899 Hoffenheim. Mark Uth replaces Kevin Volland. Foul by Kevin Kurányi (TSG 1899 Hoffenheim). Foul by Lukas Hinterseer (FC Ingolstadt 04). Niklas Süle (TSG 1899 Hoffenheim) wins a free kick in the defensive half. Fabian Schär (TSG 1899 Hoffenheim) is shown the yellow card. Attempt missed. Romain Brégerie (FC Ingolstadt 04) right footed shot from outside the box is high and wide to the right. Assisted by Mathew Leckie. Stefan Lex (FC Ingolstadt 04) wins a free kick in the defensive half. Foul by Kevin Volland (TSG 1899 Hoffenheim). Hand ball by Stefan Lex (FC Ingolstadt 04). Attempt missed. Steven Zuber (TSG 1899 Hoffenheim) left footed shot from outside the box is too high. Assisted by Tobias Strobl following a set piece situation. Pavel Kaderábek (TSG 1899 Hoffenheim) wins a free kick in the attacking half. Substitution, TSG 1899 Hoffenheim. Pavel Kaderábek replaces Eugen Polanski. Steven Zuber (TSG 1899 Hoffenheim) wins a free kick in the defensive half. Alfredo Morales (FC Ingolstadt 04) wins a free kick in the defensive half. Foul by Tobias Strobl (TSG 1899 Hoffenheim). Goal! FC Ingolstadt 04 1, TSG 1899 Hoffenheim 0. Roger (FC Ingolstadt 04) from a free kick with a right footed shot to the bottom right corner. Mathew Leckie (FC Ingolstadt 04) wins a free kick in the attacking half. Foul by Fabian Schär (TSG 1899 Hoffenheim). Substitution, FC Ingolstadt 04. Romain Brégerie replaces Benjamin Hübner because of an injury. Substitution, TSG 1899 Hoffenheim. Kevin Kurányi replaces Tarik Elyounoussi. Delay in match Benjamin Hübner (FC Ingolstadt 04) because of an injury. Benjamin Hübner (FC Ingolstadt 04) wins a free kick in the defensive half. Mathew Leckie (FC Ingolstadt 04) wins a free kick on the left wing. Robert Bauer (FC Ingolstadt 04) wins a free kick on the left wing. Foul by Tarik Elyounoussi (TSG 1899 Hoffenheim). Attempt missed. Lukas Hinterseer (FC Ingolstadt 04) right footed shot from the right side of the box misses to the left. Assisted by Tobias Levels. Attempt missed. Robert Bauer (FC Ingolstadt 04) right footed shot from outside the box misses to the right. Assisted by Stefan Lex with a headed pass. Foul by Steven Zuber (TSG 1899 Hoffenheim). Alfredo Morales (FC Ingolstadt 04) is shown the yellow card for hand ball. Hand ball by Alfredo Morales (FC Ingolstadt 04). Attempt missed. Alfredo Morales (FC Ingolstadt 04) right footed shot from outside the box is just a bit too high. Second Half begins FC Ingolstadt 04 0, TSG 1899 Hoffenheim 0. 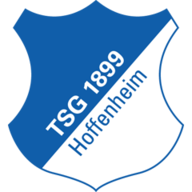 First Half ends, FC Ingolstadt 04 0, TSG 1899 Hoffenheim 0. Mathew Leckie (FC Ingolstadt 04) wins a free kick on the right wing. Kevin Volland (TSG 1899 Hoffenheim) hits the left post with a left footed shot from the centre of the box. Assisted by Nadiem Amiri. Tarik Elyounoussi (TSG 1899 Hoffenheim) wins a free kick in the defensive half. Attempt missed. Nadiem Amiri (TSG 1899 Hoffenheim) right footed shot from the centre of the box misses to the left. Assisted by Kevin Volland. Attempt blocked. Pascal Groß (FC Ingolstadt 04) right footed shot from outside the box is blocked. Roger (FC Ingolstadt 04) wins a free kick in the attacking half. Foul by Eugen Polanski (TSG 1899 Hoffenheim). Delay in match Oliver Baumann (TSG 1899 Hoffenheim) because of an injury. Attempt missed. Pascal Groß (FC Ingolstadt 04) right footed shot from the right side of the box is too high. Attempt saved. Tobias Levels (FC Ingolstadt 04) right footed shot from the right side of the box is saved in the top centre of the goal. Assisted by Stefan Lex. Roger (FC Ingolstadt 04) wins a free kick in the defensive half. Marvin Matip (FC Ingolstadt 04) wins a free kick on the right wing. Attempt missed. Steven Zuber (TSG 1899 Hoffenheim) header from the centre of the box misses to the left. Assisted by Tobias Strobl with a cross. Attempt saved. Jin-Su Kim (TSG 1899 Hoffenheim) left footed shot from more than 35 yards is saved in the centre of the goal. Corner, TSG 1899 Hoffenheim. Conceded by Tobias Levels. Offside, FC Ingolstadt 04. Ramazan Özcan tries a through ball, but Mathew Leckie is caught offside. Robert Bauer (FC Ingolstadt 04) wins a free kick in the attacking half. Corner, FC Ingolstadt 04. Conceded by Eugen Polanski. Offside, TSG 1899 Hoffenheim. Jin-Su Kim tries a through ball, but Nadiem Amiri is caught offside. Foul by Pirmin Schwegler (TSG 1899 Hoffenheim). Stefan Lex (FC Ingolstadt 04) wins a free kick in the attacking half. Jin-Su Kim (TSG 1899 Hoffenheim) wins a free kick on the left wing. Foul by Niklas Süle (TSG 1899 Hoffenheim). Stefan Lex (FC Ingolstadt 04) wins a free kick on the right wing.